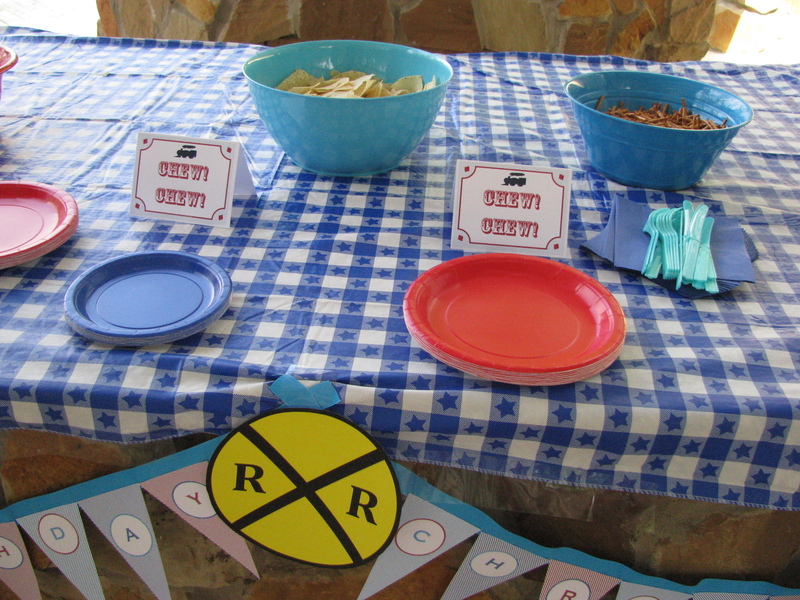 Any self respecting railroad would certainly have signs along their route… Our train themed party was no different! These Railroad signs were made in Word much like the invitations in my last post. 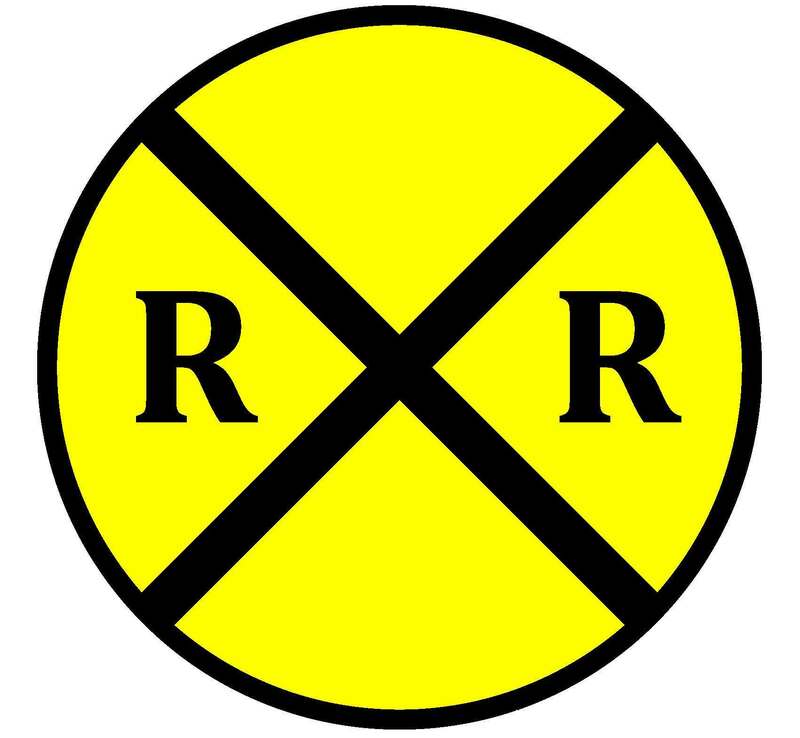 I used the Circle tool with yellow fill and black border, two black lines made the large x, and a text box for the two R’s. Then, I used the align tool to center everything and printed them on card stock. The idea for the next sign came from Pinterest. 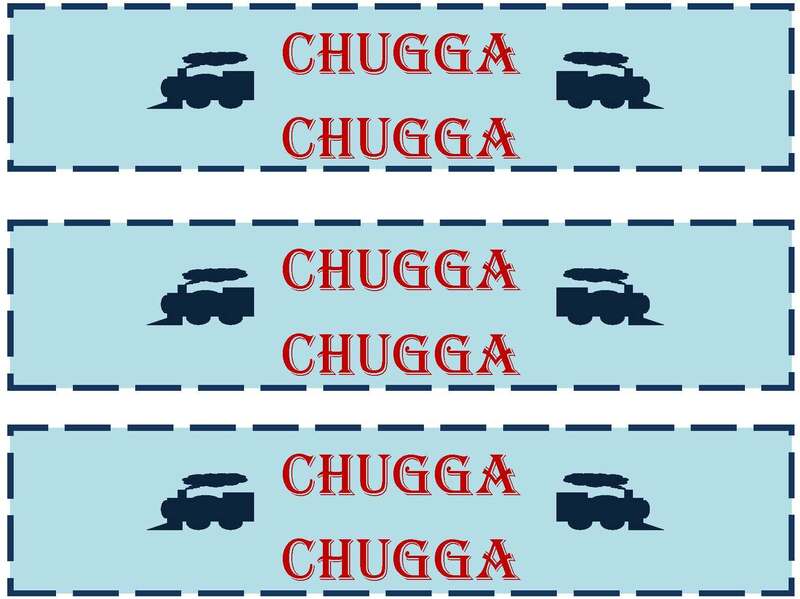 This was made by making two rectangular text boxes with black borders then rotating one 90 degrees. 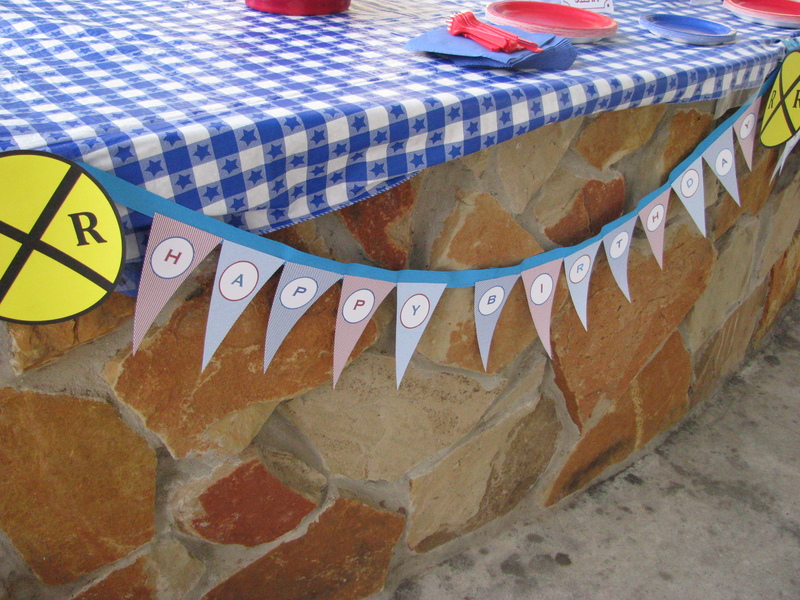 The Happy Birthday banner was designed with triangles. 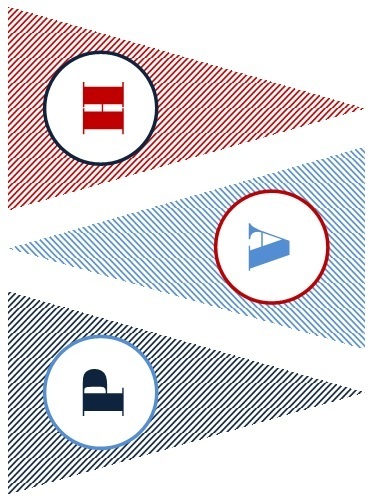 I used the diagonal fill again and alternated the three colors in my theme. After they were printed to card stock, I cut them out an used hot glue to attach them to my ribbon. (Have you ever known a crafty person not to use a hot glue gun… I don’t think so!) 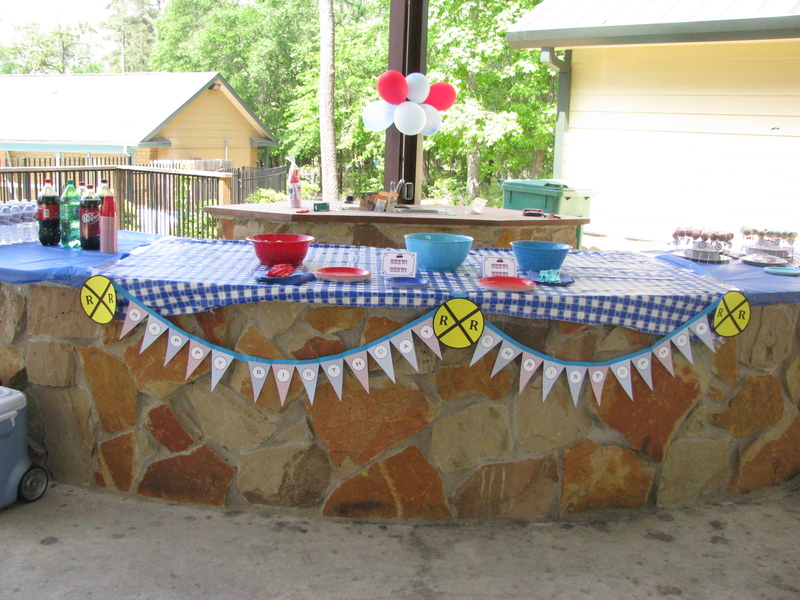 The result was one of my favorite elements of the party decor. 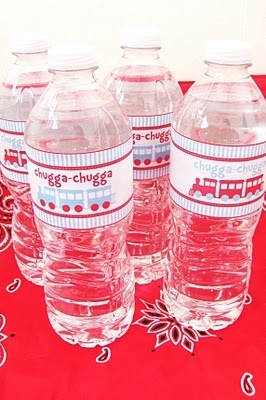 I spotted these adorable bottle covers seen on Pinterest (where else?). And did my own version. 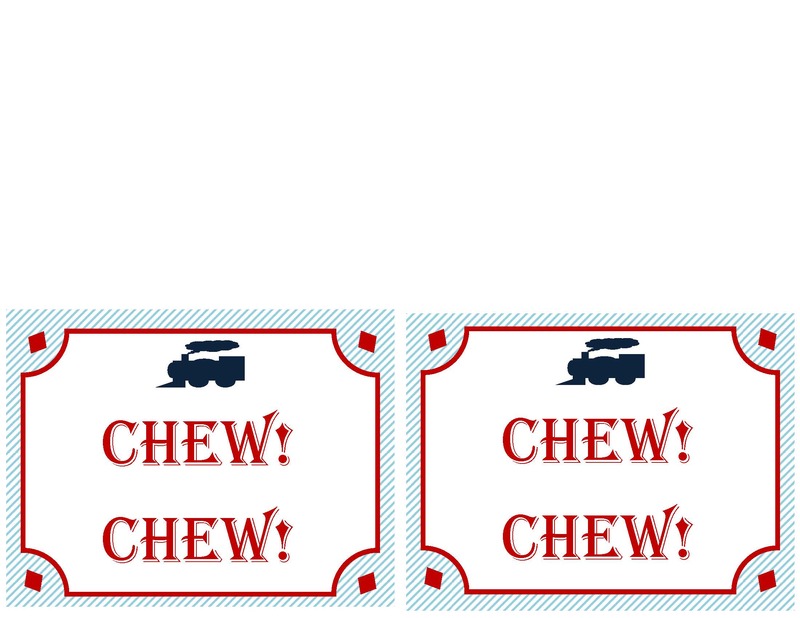 The rectangles are 1.5″ high and 10″wide. Did I mention that I went a little crazy with this party?! haha! Last, I inserted one last pun into the decor. These were made with the same Avery note cards and basic design that I used for the invitations. 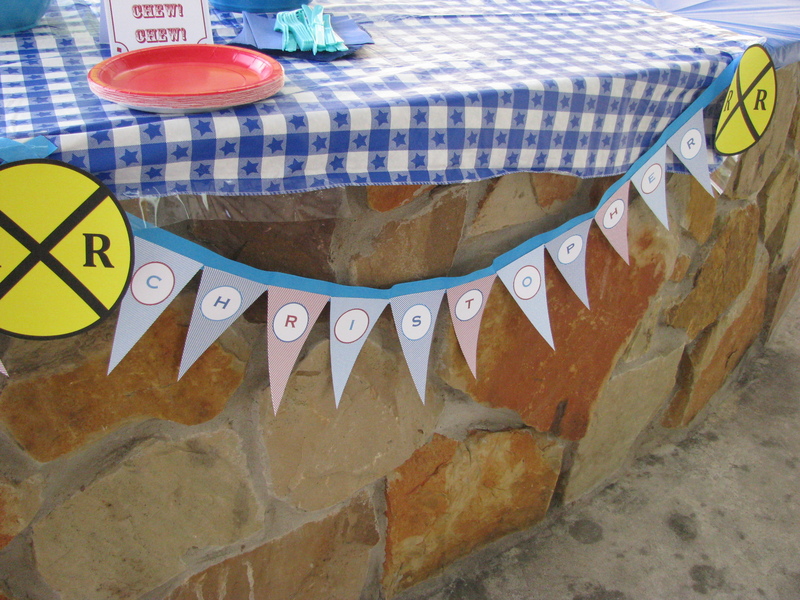 Tomorrow I plan tell you how I made the cake pops and all about my favorite party accent… Christopher’s birthday shirt! Note: This is not a sponsored post. Any opinions shown here are my own. Using printables can be tricky at times. La Salle Design Blog is not responsible for any printing mishaps that may be associated with these files. I absolutely love these! 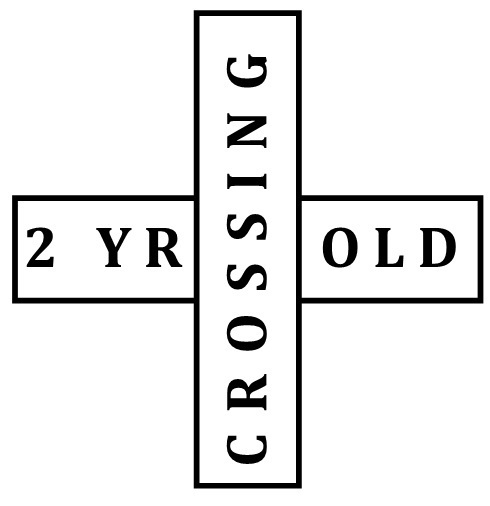 May I ask, can you tell me if it’s possible to edit the “2 Year Old Crossing” sign to say “3 Year Old Crossing”? I tried saving it as a PDF file, and converting it to a Word document, but the lines get all messed up. Thanks SO much!